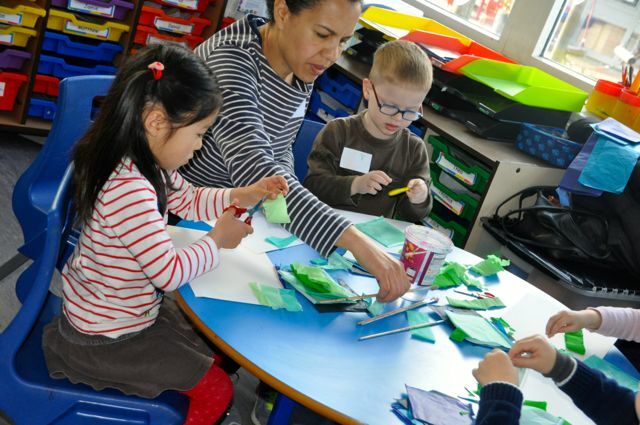 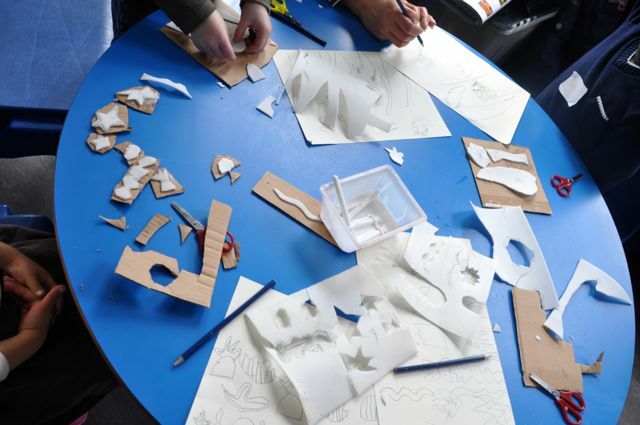 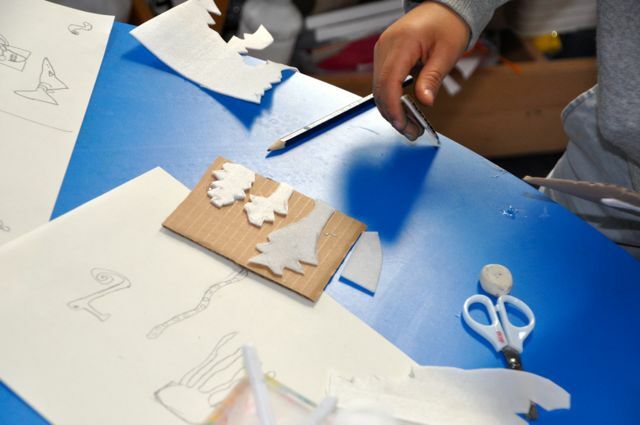 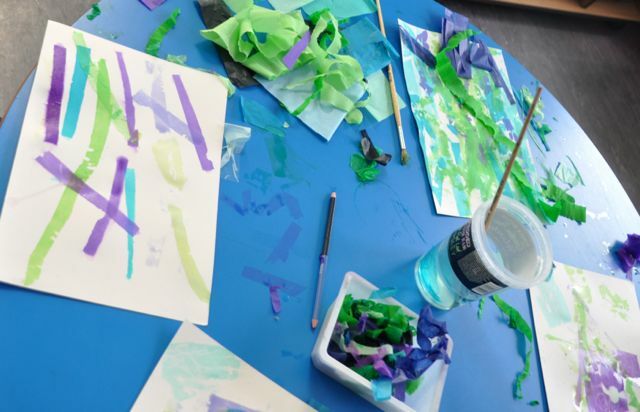 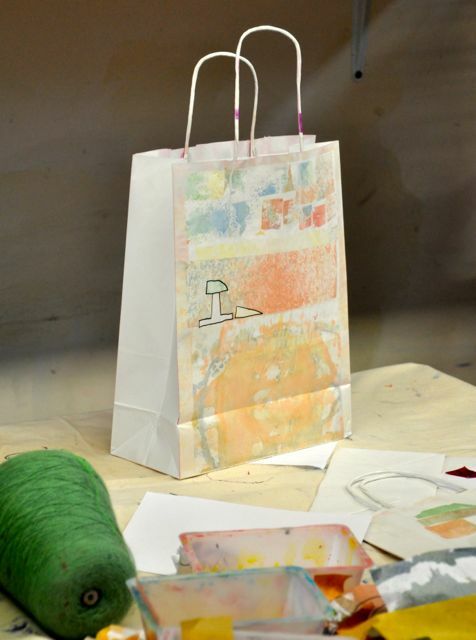 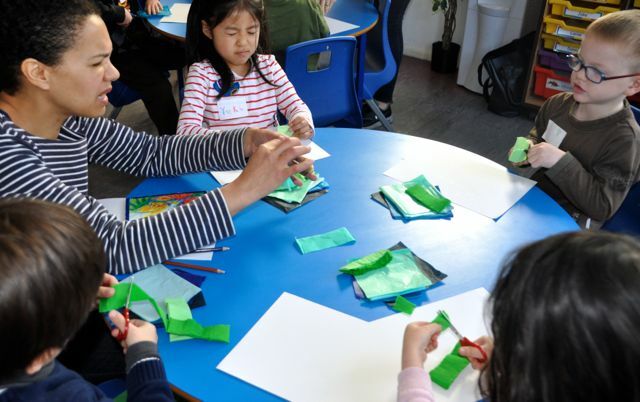 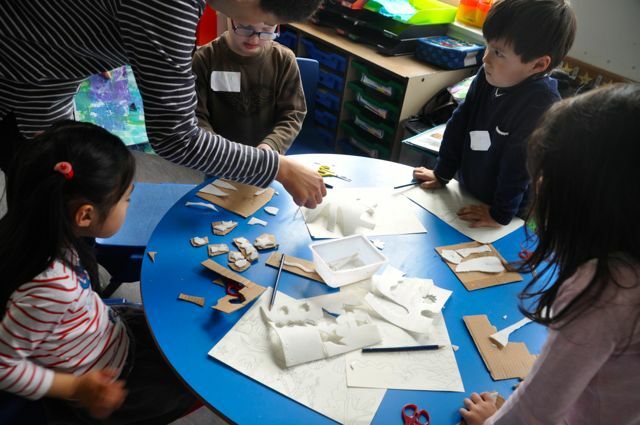 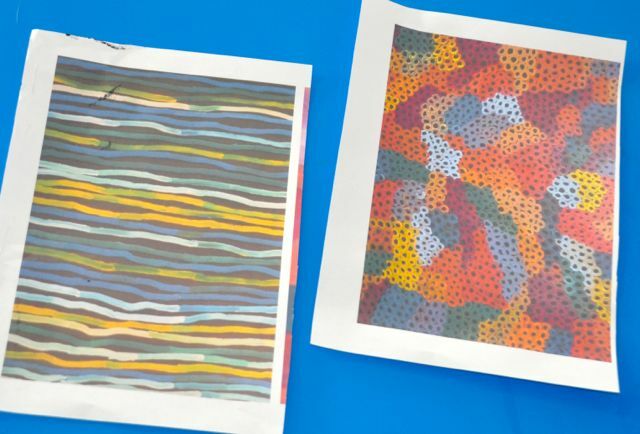 Artist Sabrina-Smith Noble collaborated with Nicole Line to lead day one of our Pop-Up Print studio for Key Stage 1 children. 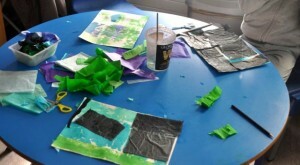 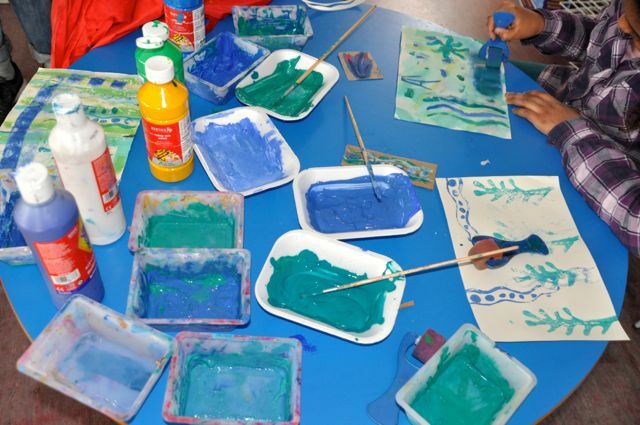 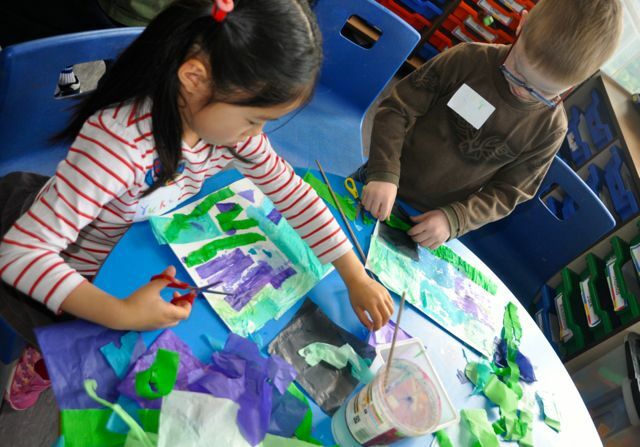 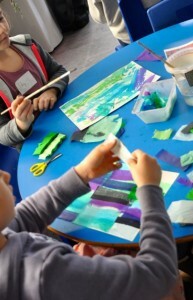 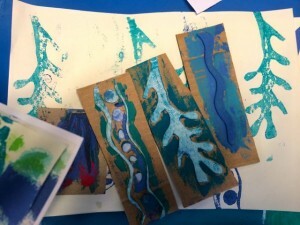 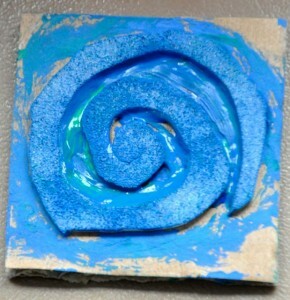 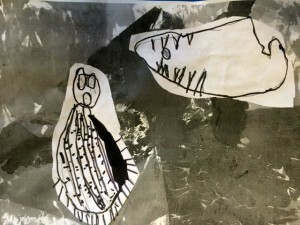 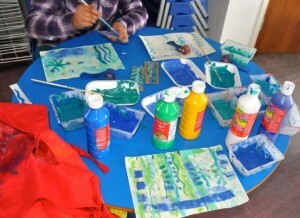 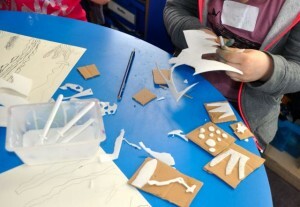 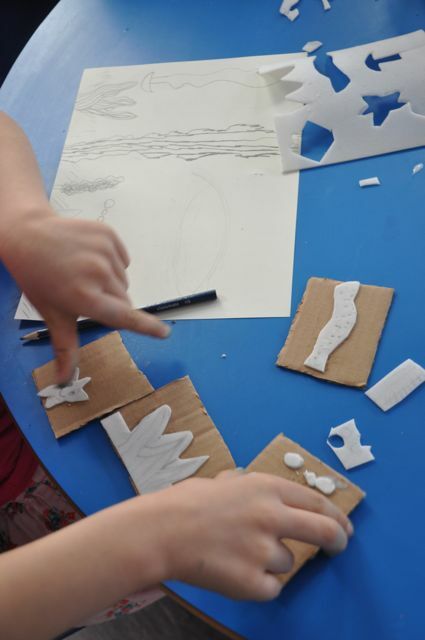 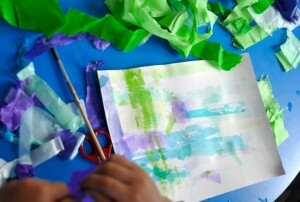 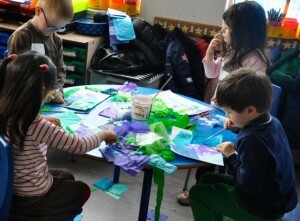 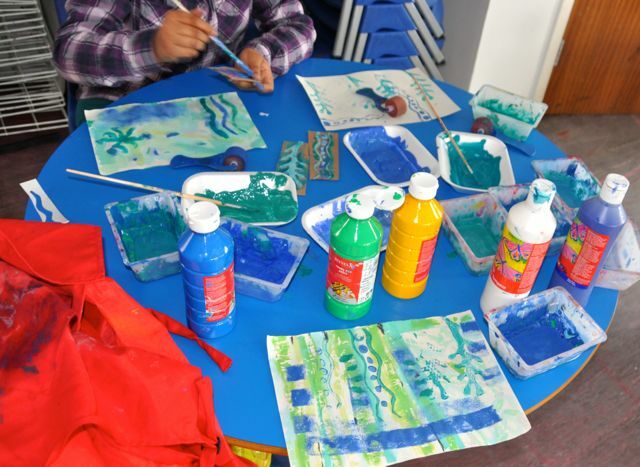 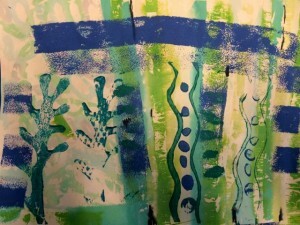 Children began by looking at art works inspired by our under-water theme. 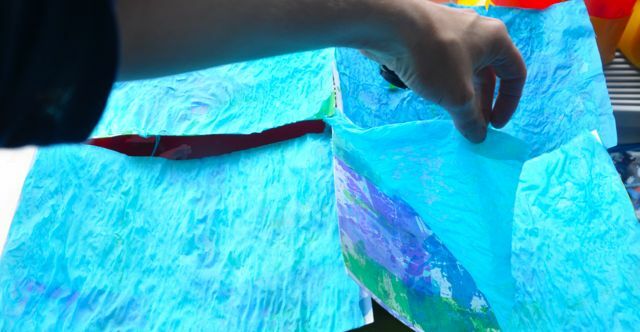 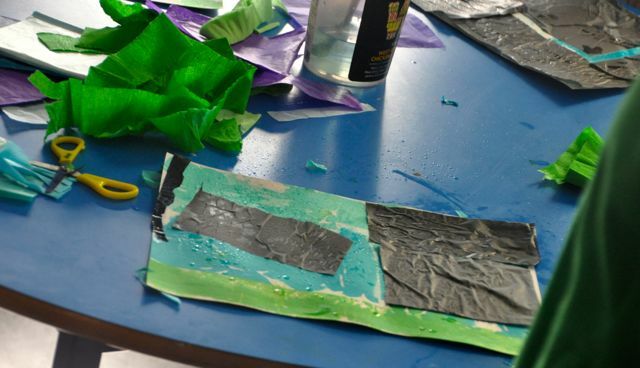 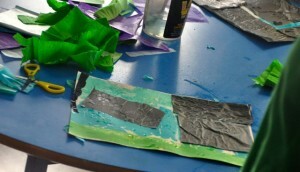 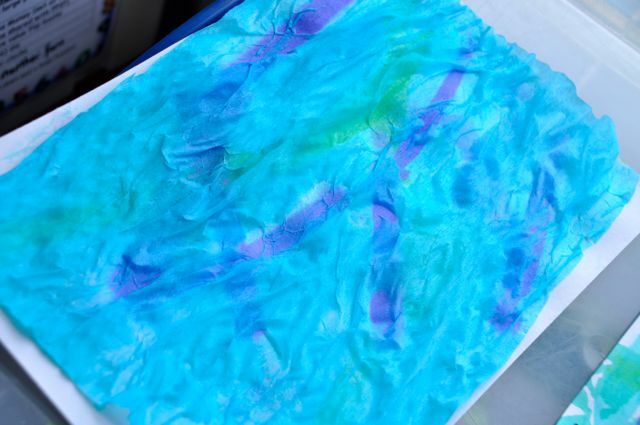 They then experimented with tearing and layering tissue and crepe paper to create a deep water scene, thinking about depth and light. 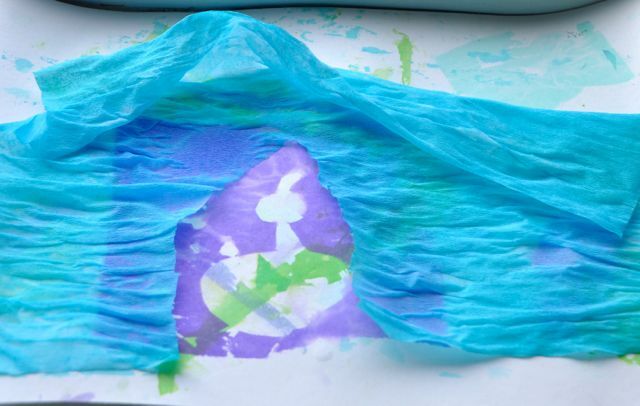 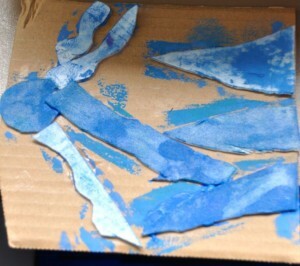 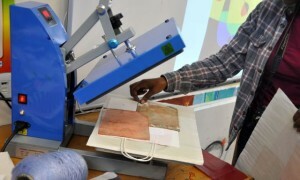 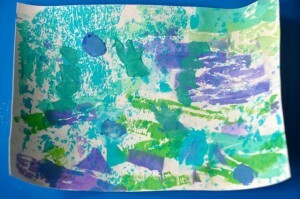 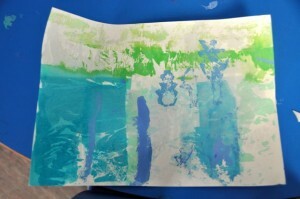 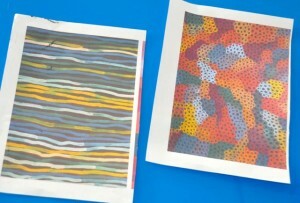 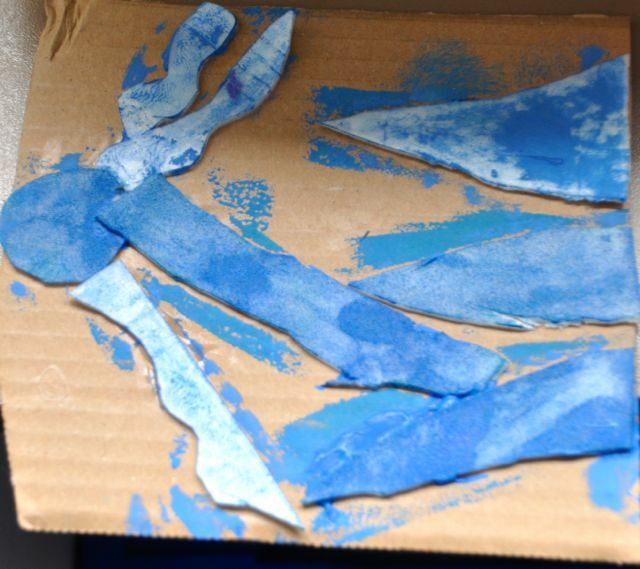 They then painted water on top of the papers and revealed a printed image underneath. 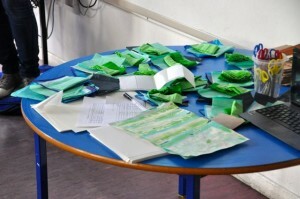 The ink from the coloured papers had been transferred onto the white paper. 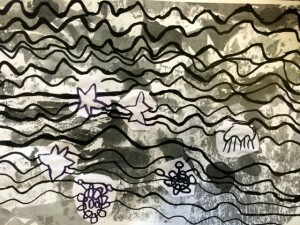 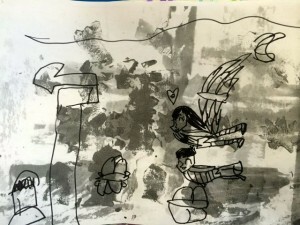 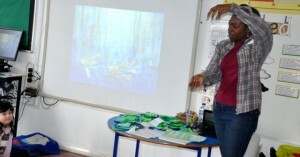 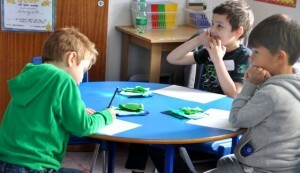 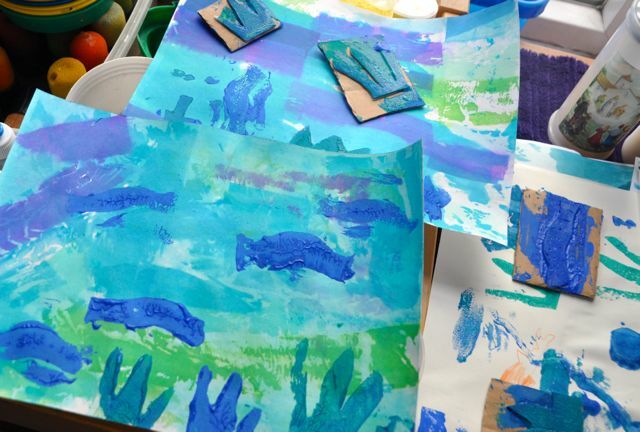 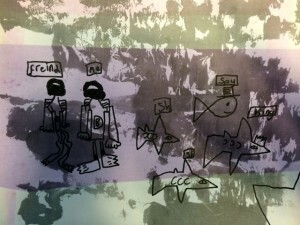 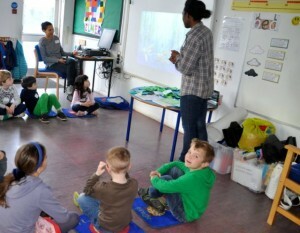 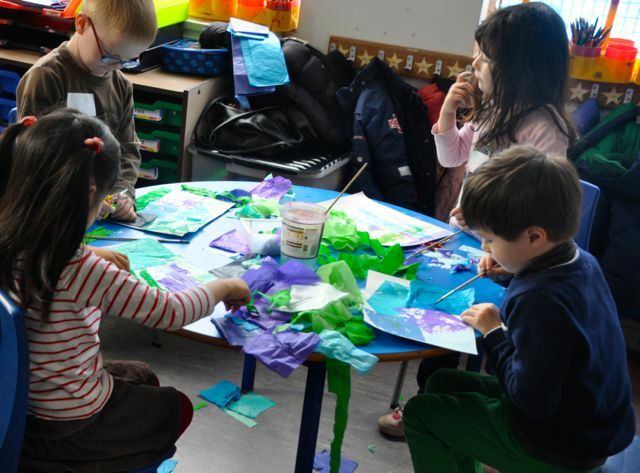 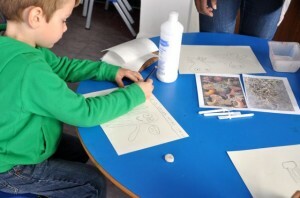 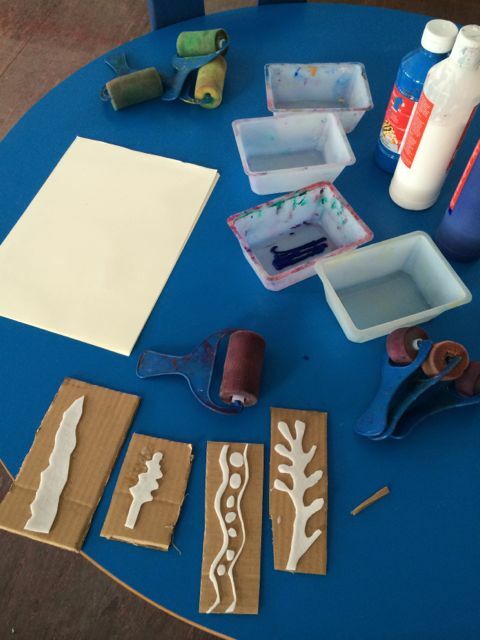 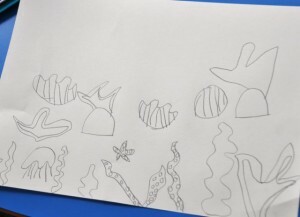 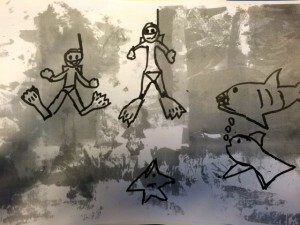 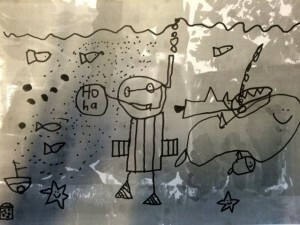 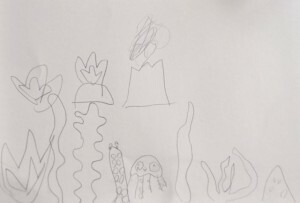 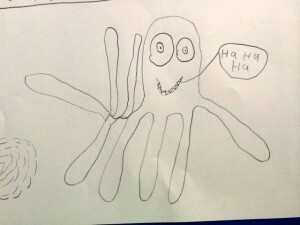 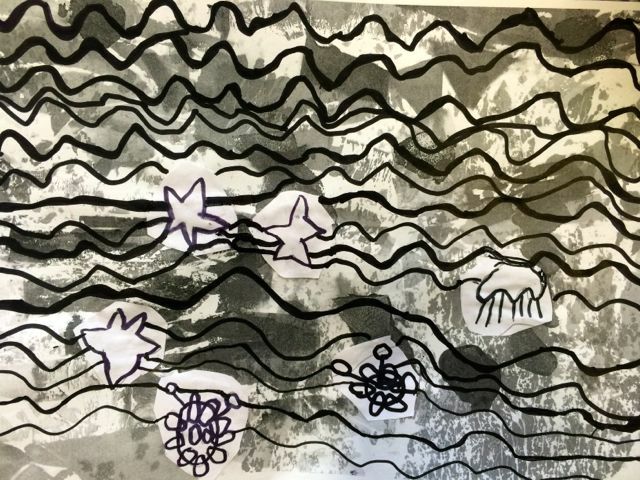 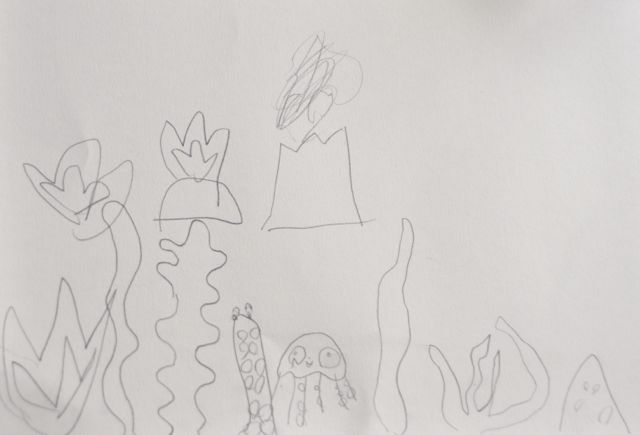 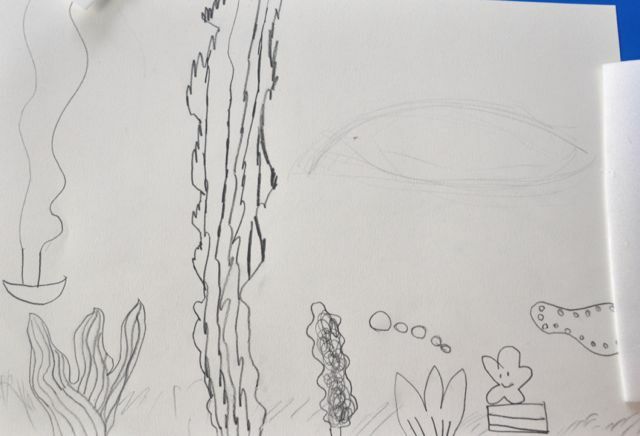 Children drew pictures inspired by underwater scenes. 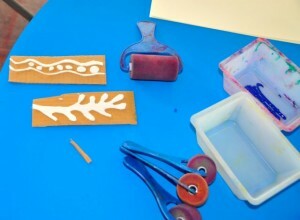 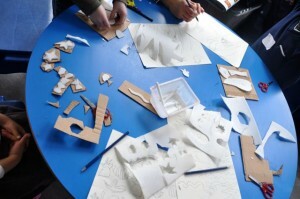 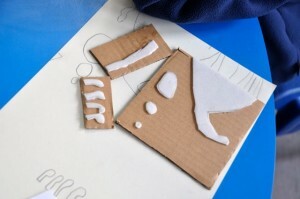 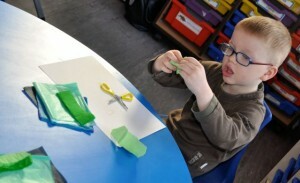 Then chose shapes to make into simple print blocks made out of card and foam. 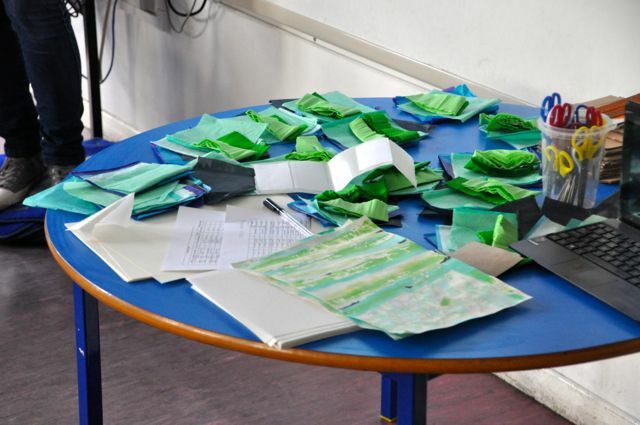 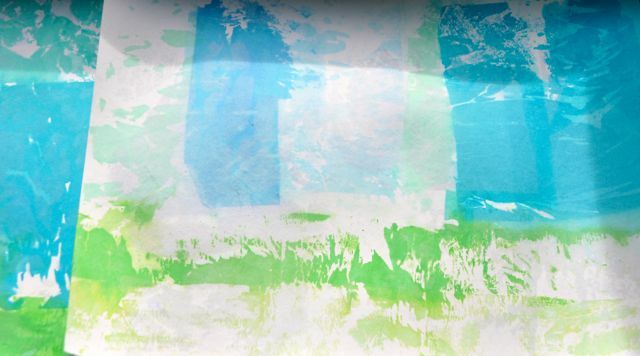 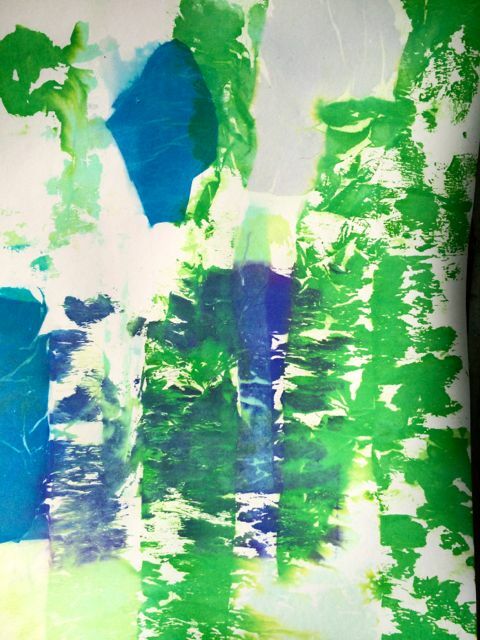 A limited palate of blues and green was used to print onto our prepared backgrounds. 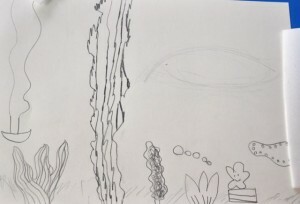 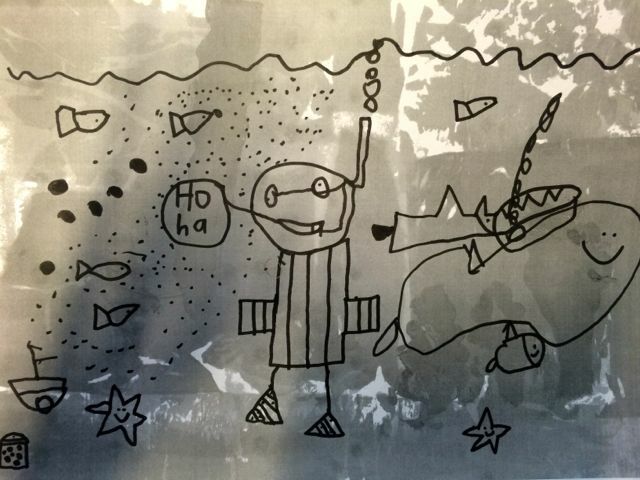 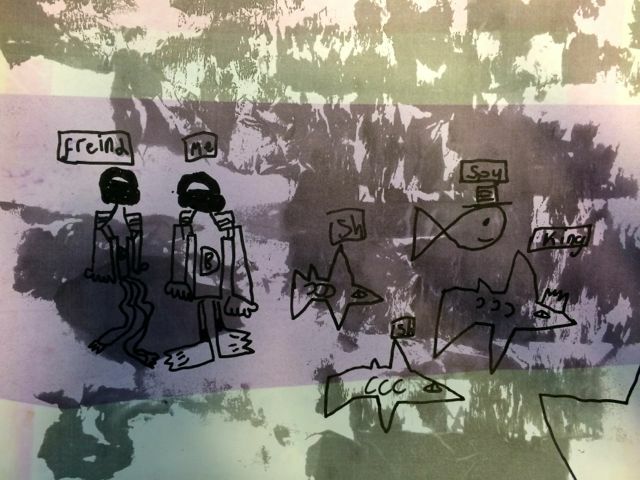 We then drew more under water scenes on top of photocopies of our backgrounds. 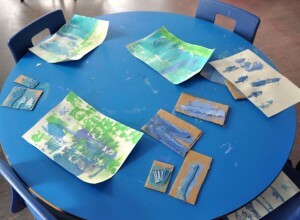 These will be put through the heat press tomorrow to create a beautiful bag.